A child who remained hostage in the kindergarten was rescued by Armenian police. A man with a knife attacked employees of a kindergarten in the Armenian city of Armavir, head of the Analytics, Information and Media Relations Department of the Police Edgar Janoyan told Sputnik. According to him, the attacker is currently in the pre-school building. There is currently no information about casualties, but local journalist Gagik Shamshyan had reported on his website, the man took the personnel of the kindergarten and children hostage. 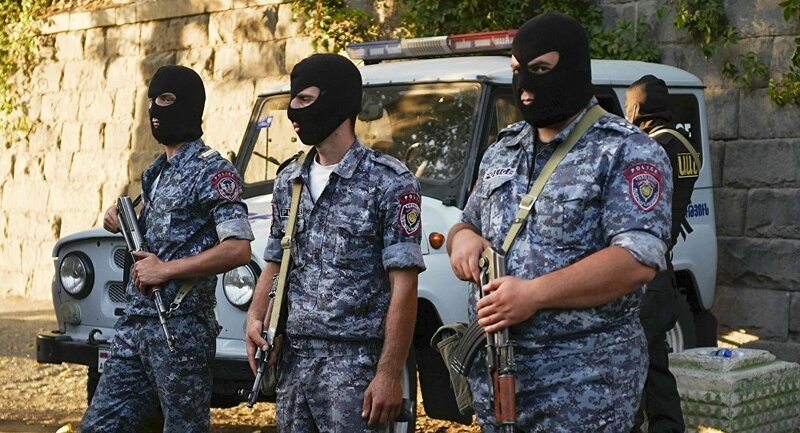 "An employee of the Manushak kindergarten in the city of Armavir of the Armavir region of Armenia has reported that they were attacked by a man armed with a knife," Dzhanoyan said, adding that the attacker was in the nursery school building. "Law enforcement officers are working at the scene," the spokesman said. Later in the day, the Armenian police spokesman has told Sputnik that one child remains hostage in the kindergarten, who was aferwards rescued by police. No information available on the possible motives of the accident yet.